Whether for business or pleasure, international travel has become an integral part of life for corporations, individuals and families. This is especially so in the UAE, a country which boasts a vibrant expatriate community and a geographic location that places it within easy reach of many corners of the world. Reflecting this reality, we provide a full range of travel insurance offerings to help protect customers and their valuables on the move. Whether on land, sea or up in the air, however you choose to travel we have you covered. Our comprehensive plans can be tailored to the specific needs of each and every traveler. 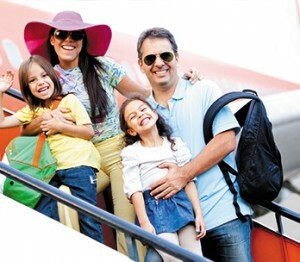 From flight and baggage delays, to medical emergencies, trip cancellations and special insurance for hazardous sports and activities, Juelmincan provide you with financial security the world-over. To find out more about how we can help you plan a safe and secure journey, contact us.